Chinese smartphone maker vivo has been concentrating heavily on selfi camera department and offering a another smartphone , which is the second phone in this year namely Vivo Y55s. 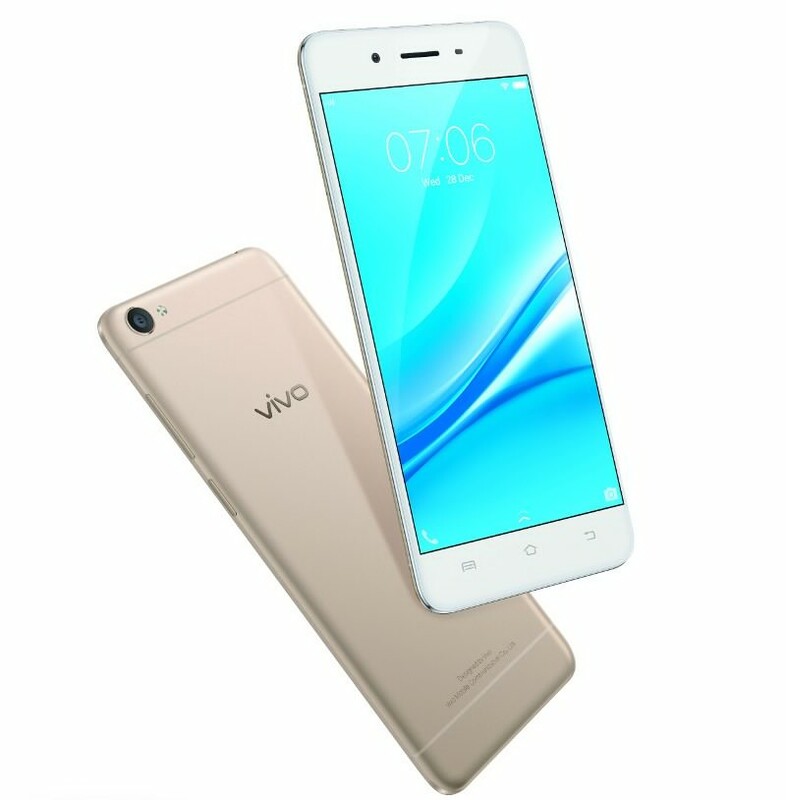 The device is in line with vivo’s brand philosophy “Camera and Music” for the price RS.12,490 . The Vivo Y55s follows to last year’s Y55L , which is launched in October 2016 and packed with some upgraded Specifications when compared to its predecessor. It features a 13Mp rear camera and the device is exclusively designed to complement the preferences to Tech savvy consumers and selfie lovers claims Vivo. The Vivo Y55s features a 5.2 inch HD (1280×720 pixel) display and powered by Qualcomm Snapdragon 425 processor coupled with 3GB of RAM and 16GB inbuilt storage which can be further expanded via microSD card upto 256GB by separate slot. The device spot a 13Mp rear camera with LED flash and a 5Mp front facing camera with smart screen flash technology same as you see on iphone7 and 6S. The Vivo Y55s runns on Android 7.0 Nougat based on FunTouch OS 3.0 and the smartphone packed by a 2730mAh battery. The Vivo Y55s available in crown Gold and space Grey Colours across the country (India) from 26th February 2017.